Tito Vilanova will be taking a leave of absence as the manager of FC Barcelona, according to a statement released by the club. After the surgery, Francesc "Tito" Vilanova will undergo chemotherapy and radiation treatment for approximately six weeks. During this time, and depending on how well he recovers, Vilanova’s treatment may be compatible with his work life. Great news as Tito Vilanova's underwent successful surgery, according to The Guardian's Staff. 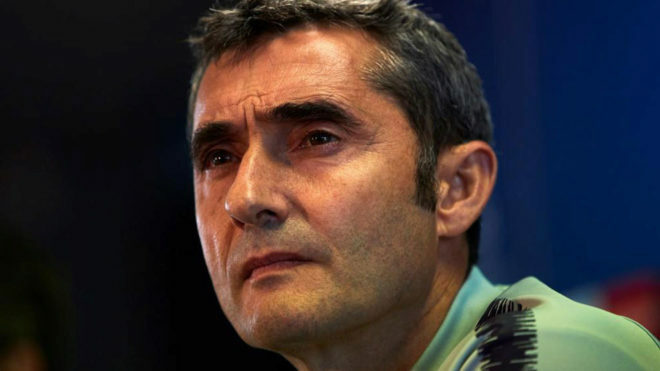 Barcelona on Thursday announced Tito Vilanova's operation on his parotid gland had gone "as expected" as the 44-year-old began a second battle with cancer. Vilanova, who had a tumour removed from his throat in November last year, will now start six weeks of chemotherapy. Barcelona have announced assistant manager Jordi Roura will handle first-team duties during Vilanova's absence. It's a shocking turn of events for the La Liga leaders, who were off to a tremendous start under the 44-year-old boss. Vilanova took over for Pep Guardiola, leading the dominant Spanish side to a 16-match unbeaten run to start the campaign. Dermot Corrigan of ESPN reports that the Barca manager suffered a relapse just one year after surgery to remove a cancerous tumor. The club decided to clear its schedule for the day as players and coaches deal with the unfortunate news. Taking over for Guardiola, who had terrific success of his own, was no easy task for the former Blaugrana assistant. But he rose to the occasion, leading Barca to find some of their best form in recent memory—and that's saying something. In the midst of a season where everything was going according to plan for Barcelona, Vilanova's latest health woes will challenge the club's mental strength. He was a major part of the winning equation, and continuing to excel without him won't be an easy task. Vilanova has compiled a dazzling 23-2-2 record over 27 matches with the club. Barca currently lead La Liga by nine points over Atletico Madrid following an impressive 4-1 victory over the Colchoneros. Chief rival Real Madrid are 13 points off the pace. Lionel Messi and Co. must now find a way to continue their strong run of play without Vilanova on the sidelines. He will surely be on their minds as they chase trophies, but the squad can't allow his departure to knock the season off track. That's easier said than done, of course. Most importantly, hopefully Vilanova doesn't suffer any further setbacks and can make a full recovery.